- For those who are head-over-heels in love with their horses, these sterling silver earrings perfectly capture the bond between the rider and mount. Earrings measure 1 1/4" tall overall. For pierced ears only, with French hooks. 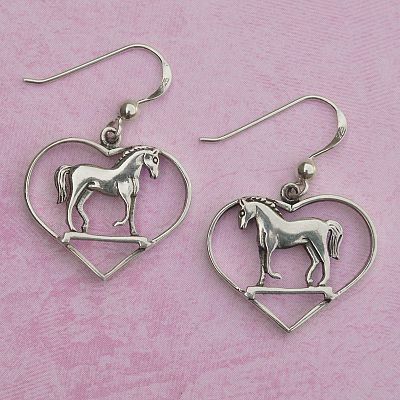 Do you have any other questions about our Silver Horse Lovers Earrings?